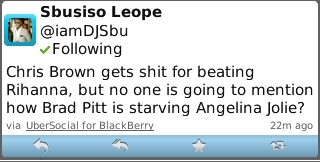 Dj Sbu is one of the South African Celebrities who followed the 84th Annual Academy Awards, he tweeted none stop about the event and below are some of his tweets. 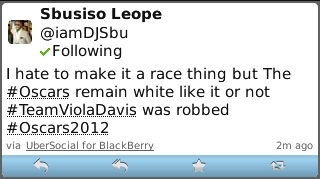 Sbu also tweeted that the Oscars remain white like it or not, as he claims that (Team) Viola Davis was robbed. Below follows a list of Nominees and Winners of the Oscars. "I remember this time 6 years ago when the whole country was celebrating an #Oscar win #Tsotsi presented by @WillSmith, Gavin & team made us proud." 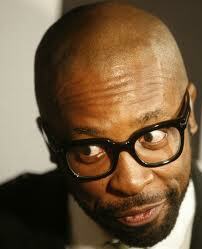 Tweeted Dj Sbu this morning.